Mackays Hotel, Wick once again will be welcoming one of the liveliest bluesmen travelling around Europe. He will be at Mackays Hotel with his steel guitar on Saturday 27th October from 9.00pm. With an incredible repertoire of the blues greats in his head he is able to take on almost anything the audience would expect from a wide range of well known blues and jazz greats. His virtuoso performances have audiences amazed at his guitar playing and the range and breadth of his songs. Why is he coming back to the north of Scotland? Well part of the answer lies in his passion for angling. He never misses an opportunity to get in some fishing if its available and he is likely to be out on oneof the lochs or rivers in Caithness before or after his gig. He loved his trip to the north and Mackays and Wick last time and is looking forward to this next stay. His performances flow through the blues period from the beginning right up to date with many well known tunes and songs and some that may not be so familiar. They are all surrounded with comments and srories about his own start and his gigs with the incredible blues man Johnny Shines. Having learned early to play guitar he went to perform with some of the greats of slide guitar. He plays a 1934 steel guitar strung with specially heavy strings to withstand the style of attack on the songs and his fast musical style. Audiences are usually wowed by this single minded perfectionist that appears to be so laid back with his ability to move effortlessly around the genre. 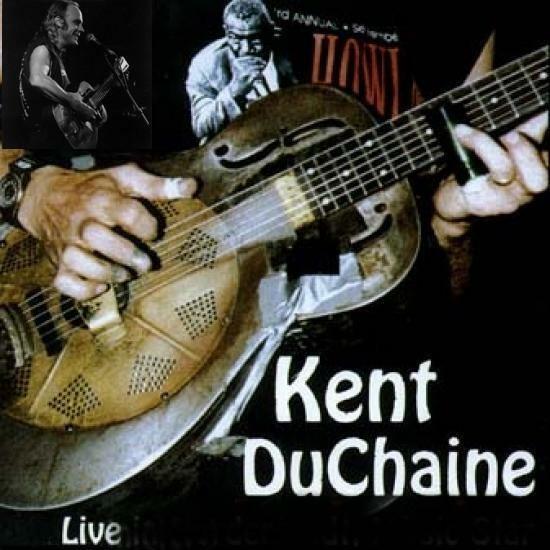 Murray Lamond has pulled off a small coup in the music scene in Wick by bringing back the blues singer Kent DuChaine. The well travelled singer with several albums to his name and used hitting the blues scene all over Euroipe and the US is in Mackays Hotel on Saturday 9th September from 9.00pm.